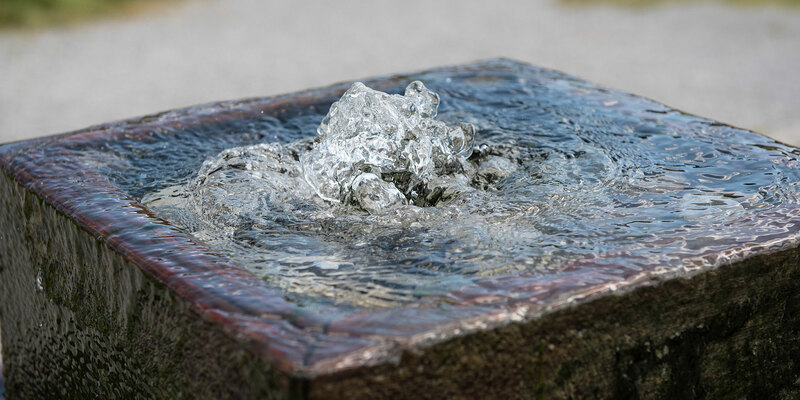 Water features are a fantastic way to enhance your landscaping and bring excitement or tranquility to your environment. With the wide variety of options to choose from, finding the right element for your space and available maintenance time is an important element of design. Considering water features when designing your landscaping ensures the water feature blends naturally with your landscaping or becomes the focal point, depending on your goal, and not just an afterthought. For large water features, you’ll want to be sure that any wiring or plumbing is planned prior to the installation of other landscaping. Water features are for any size space! Small spaces can benefit greatly from a tabletop or small garden fountain. 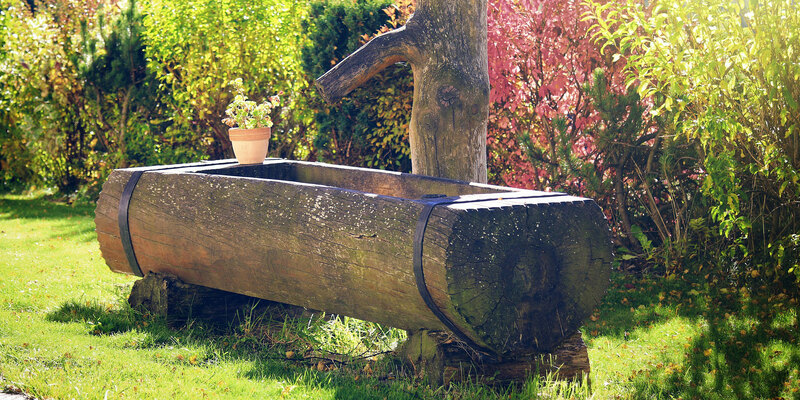 Small fountains can be purchased at most nursery supply shops or can be made from nearly any watertight container, if you are looking for something truly unique. Ponds, large fountains, and waterfalls are often the focal point or main feature of larger properties and spaces and set the style and feeling of the landscape. The styles are endless. Water features can stand out and create contrast and excitement in your landscaping or blend seamlessly for a soothing and natural style. Styles vary from structured and architectural to traditional. Consider materials from metal to natural boulders and stones. Water Features - Form vs Function. 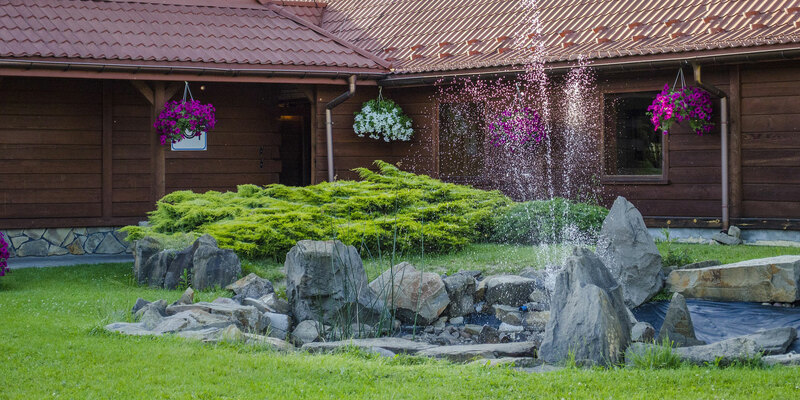 Water features not only visually improve your landscaping, they are often functional as well! Fountains, waterfalls, and ponds or pools can create a cooling effect, allow you to incorporate water plants into your landscaping, attract wildlife, or provide a place for a nice swim.